CHICAGO — Wondering exactly how to get to Wrigley Field to see a Cubs game without driving your car? Fans going to Wrigley Field from Chicago Union Station should walk six blocks east to the CTA Red Line (State Street Subway) or get to State Street by boarding CTA’s #1 Bronzeville/Union Station bus or #151 Sheridan bus on Canal Street. Take Red Line trains going north (Howard-bound) to the Addison stop, just steps from the ballpark. Metra’s UP Northwest customers can take CTA’s #80 Irving Park bus from Metra’s Irving Park Station east to Clark Street, and Milwaukee North Line riders can depart the train at the Grayland Station and walk south on Kilbourn to Addison, where they can take CTA’s #152 Addison bus east to the ballpark. 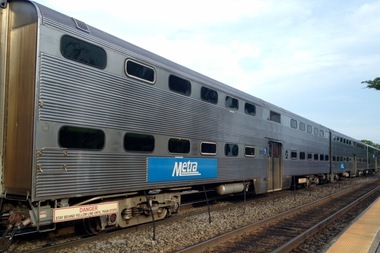 Metra UP North Line customers can take the train to Evanston Davis Street, then walk one block east to the accessible CTA Davis stop and board a Howard-bound Purple Line train and then transfer at Howard to a 95th-bound Red Line train to Addison. For fans coming from the north side, the ballpark is also just a couple of blocks south of the Sheridan stop on the CTA Red Line. During weeknight games, Loop-bound (southbound) Purple Line Express trains will stop at Sheridan. Also during weeknight games, Howard-bound (northbound) Red Line trains will operate with increased frequency between 5 p.m. and 6:30 p.m. During all night games, Yellow Line trains will operate from Howard to Skokie until midnight. Fans can also use the #8 Halsted, #22 Clark or #152 Addison (connects to the Brown and Blue lines) CTA buses to get to, or within a few blocks of, Wrigley Field. The CTA provides extra service on the #80 Irving Park and #152 Addison routes for all Cubs home games. For more information on taking CTA to the game, visit the CTA website. From the western suburbs, a Pace bus is available leaving Schaumburg's Northwest Transportation Center and Yorktown Shopping Center. Click here for the schedule.